Hall Spars, founded in 1980 by Eric Hall and Phil Garland, specialises in the design and production of proven quality carbon fibre masts, booms and components. 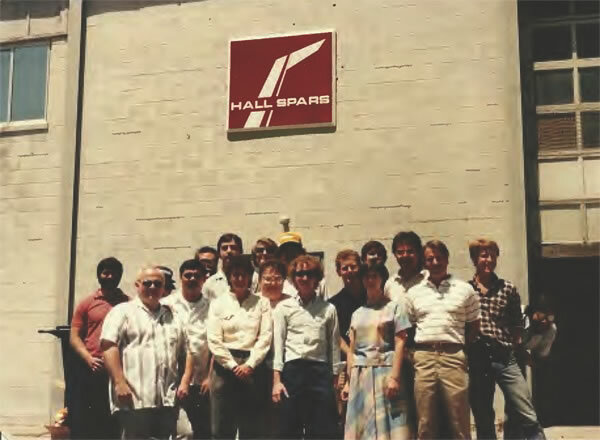 Working with carbon since 1984 and autoclave curing since 1992, no other spar maker comes close to the experience and expertise of Hall Spars. This experience, paired with a desire to strive for the best, has translated into the proven excellence that we have today. Throughout the nearly four decades of production, the company has reached many major milestones. In March 2003, Alinghi, equipped with Hall Spars won the America’s Cup, and in 2005 the company delivered its first mast for the Volvo Round the World Ocean Race to Paul Cayard and his team Pirates of the Caribbean. Hall Spars has also branched out to manufacturing carbon products outside of the marine world. The company fabricated the ultra-light structure of a Human Powered Aircraft for the Projet Pégase team at the University of Sherbrooke, Quebec in 2011 and created its first hydro-kinetic turbine and carbon satellite dish in 2012. Hall Spars’ operations now extend to three corners of the globe, with centres in the Netherlands, USA, Sri Lanka and New Zealand. With our acquisition by North Technology Group in 2017, Hall Spars now has additional stability and expertise, with the backing of a company renowned for its shrewd investment in marine and manufacturing markets worldwide.